08.12: On this day way back in 1877, the first sound recording ever is made by Thomas Edison. What was that first recording? It was Edison reciting “Mary Had A Little Lamb.” Little did he know, at the time, the power of recorded sound and the directions it would take popular culture. Or that his version of “Mary Had A Little Lamb” would become a #1 worldwide smash, knocking Beethoven’s “Moonlight Sonata” off the top of the charts and remaining there for a staggering ten weeks! 08.12: On this day in 1994, Woodstock ‘94, the 25th anniversary of the first Woodstock festival, was held in upstate New York. 350,000 attended the concert which featured Green Day, Aerosmith, the Red Hot Chili Peppers and others for three days of music, fun, and good vibes, proving that lighting can strike twice. However, the 30th anniversary concert, Woodstock ’99, with its riot- and violence-filled denouement, would prove to be more like the infamous Altamont Free Concert (look it up), which effectively ended the bright-eyed, love-in that was the late ’60s. Now, Woodstock ’99 didn’t effectively end anything, but it did prove that, sometimes, some things are better left in the past. 08.15: On this day in 1969, the Woodstock Music and Art Fair kicked off for 500,000 attendees in Bethel, New York. A defining moment of the ‘60s, this event, in retrospect, marked the culmination of the “love” generation’s hippy/peace movement. For three days, all was well and the world celebrated and watched in awe as so many people gathered together, listened to some of the best musicians of the decade, and caused so little trouble. The performers included a who’s who of ’60s music icons, including The Band, Joe Cocker, Richie Havens, Creedence Clearwater Revival, and a festival-capping, stunning rendition of The Star Spangled Banner by the inimitable Jimi Hendrix. It gives us chills every time we watch it. 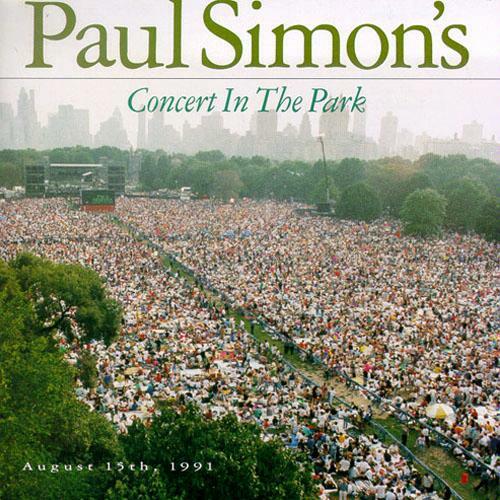 08.15: Paul Simon filled Central Park in NYC with 750,000 people for a free concert on this day in 1991, nearly ten years after he and Art Garfunkel did the same thing in 1981, drawing the same numbers of concert-goers and the same groovy vibes. 08.16: On this day in 1958, the face of pop culture ushered in one of its more flamboyant icons, when Madonna Louise Ciccone was born in Bay City, Michigan. If you don’t know who that is, then we have nothing further to say to you. Good day. 08.16: On this day in 1962, The Beatles went a different direction, ousting then-drummer Pete Best in favor of one Ringo Starr, which proved to be the beginning of a beautiful relationship. They had a couple of hits together. 08.16: All of eleven years old on this day in 1961, Little Stevie Wonder, released his first single, “I Call It Pretty Music (But the Old Folks Call It the Blues),” into a world that, at the time, couldn’t care less. His first bonafide hit, “Fingertips, Pt. 2,” would come a year later, and Stevie Wonder’s long career in music and long string of hits would begin in earnest. Stevie didn’t take a break until 1976, following an incredible output of music the four years prior. During that time, he’d gained control of his own production and put out six albums. Six albums in four years! Not just any albums, either. Four regular albums and a double album, all bonafide classics and amazing testaments to Stevie’s talent and tenacity. From Music Of My Mind to Songs In The Key Of Life, Stevie Wonder’s early- to mid-’70s catalog is unrivaled in scope and sheer musicality. From Little Stevie to full-grown Stevie, the transformation from ’61 to ’76 was, simply, incredible. 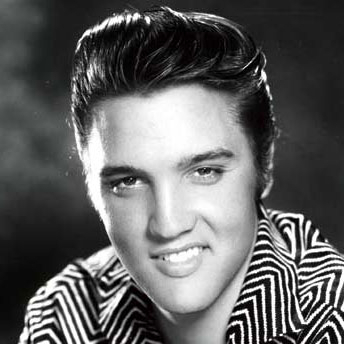 08.16: On this day in 1977, Elvis Presley was found dead at Graceland at the age of 42. Though well past his rock and roll prime, his death, nevertheless, caused ripples still felt today in the hearts of his fans and music fans alike. Though not the first person to play rock and roll (that role belongs to many, many an African-American performer, such as Chuck Berry, Bo Diddley, Ike Turner, and Little Richard), Presley’s albums and singles helped bring the genre from the underground to the mainstream, meaning white popular culture, seemingly overnight. It is hard for people today to grasp the importance of Elvis’ contribution to not just music, but to American, and world, popular culture. Without the spread of rock ‘n’ roll around the globe, what would the world look like today? Would we still be listening to Perry Como records and songs about doggies in a window? Probably not, but all of the different styles of rock ‘n’ roll, and, for that matter, R&B and hip-hop, would not be with us today. Rock ‘n’ roll, and Elvis, made the world a much more varied, interesting, and sonically awesome place to be. Hail, hail, rock ‘n’ roll. Long live The King. 08.18: In 1977, on this day, The Police played their first gig without original guitarist Henri Padovani. Earlier in the year, Andy Summers had joined the band as a second guitarist, briefly making the band a quartet. Shortly thereafter, however, Henri was fired and The Police, as you may have heard somewhere, went on to the top of the charts and to rule, for a time, the world of music. Had Henri stayed, of course, The Police probably would’ve been the only band ever to consist of an Englishman (ol’ Stingy boy), a Corsican (Mr. Padovani), and an American (the magnanimous Stuart Copeland). Of course, the brilliance of Synchronicity probably never would’ve been realized, so we’ll take two Englishman and an American over the initial international lineup, any ol’ day.